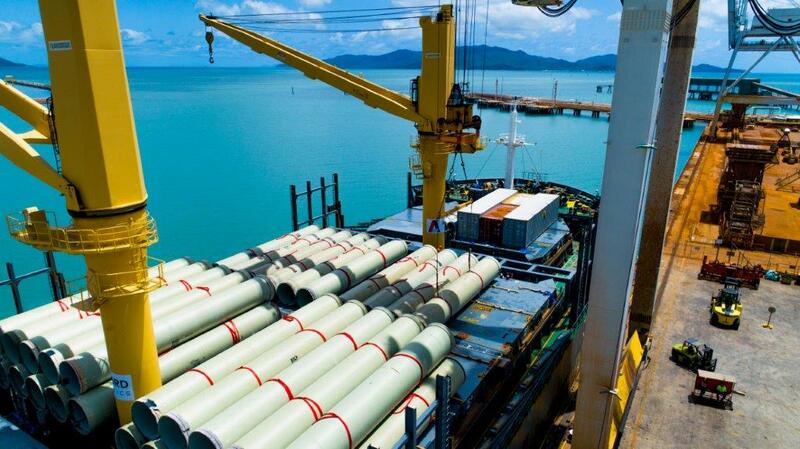 The first shipment of 564 pipes for the $215 million Haughton Pipeline Duplication Project arrived in Townsville at the weekend onboard the Eckert Oldendorff. The 1.8m diameter glass reinforced polymer pipes will be installed over 36km to build the pipeline between the Ross River Dam and the Haughton Channel to improve Townsville's water security. They will be transported to a laydown yard in the Bohle en route to the project area. 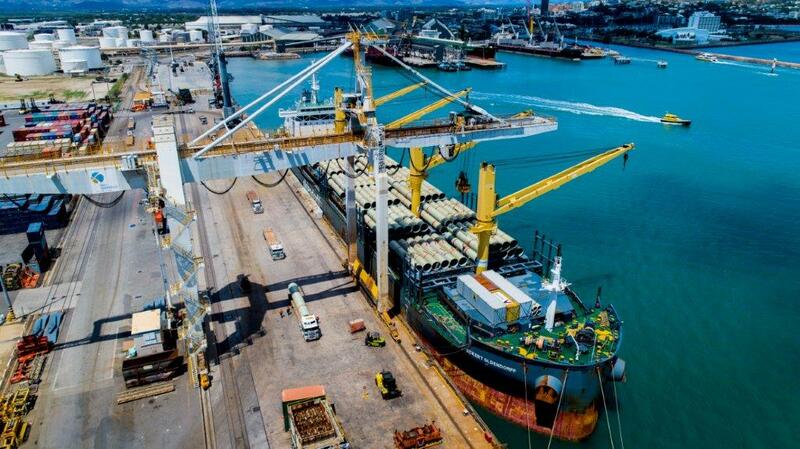 Townsville Port chief executive officer Ranee Crosby said the receival of the project cargo was a complex operation involving supply chain participants, demonstrating the strong capabilities of the port and logistics industries. “As the largest general cargo port in Northern Australia, the capability for handling project cargo such as the Haughton pipeline is second to none,” Ms Crosby said. Northern Stevedoring Services general manager David King said planning for such cargo required immense project management between all involved. “With all operational planning complete for the first pipe shipment, we now look forward to the operation and being an integral part in the supply chain of this very important infrastructure project for Townsville,” he said. Townsville Mayor Jenny Hill said the pipeline project was 'full steam ahead'. "The pipeline is council's top infrastructure priority and we are committed to having the project complete by December 2019." The Australian-made pipes for the project are being transported from Adelaide in six shiploads.